Nova’s P5 Stair Tread is a superior anti-slip tread that is ideal for both internal and external applications. The product is supplied in standard 2.4 meter lengths with a 50mm width. 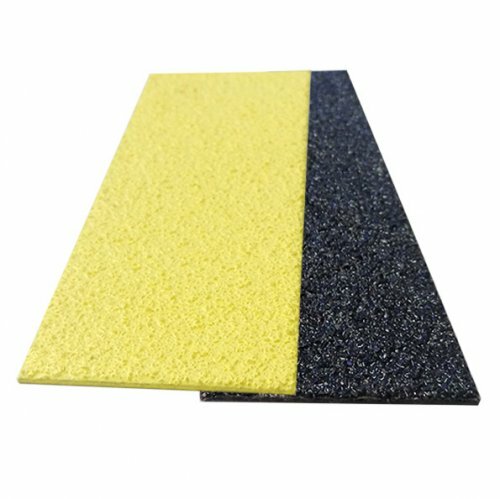 It has been tested to Australian standards with a slip rating of P5 which gives this product superior anti-slip and durability. The P5 tread is stocked in Western Australia and has a quick turnaround. There are two standard colour options available, black and yellow. Other colours as well as Luminescent options are available upon request.